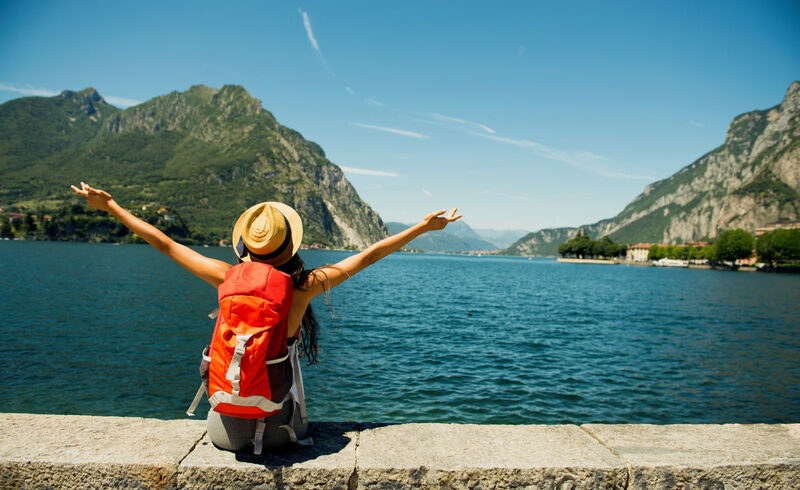 As a lifelong minimalist traveler, I’ve toured Italy with nothing but a book bag and hauled young kids cross-country carrying only a small suitcase. Read on to discover my tips for how to pack light and scale back. When I first embraced minimalist travel more than a decade ago, it was mostly out of necessity. I had a 10-day trip through Italy planned and two luggage options: a small book bag or a giant suitcase. Shuddering at the idea of lugging a big-wheeled monstrosity through tiny, cobblestoned streets, I opted for the book bag. And I’ve never looked back. Minimalist travel isn’t just more comfortable, it’s liberating. Choosing to pack and schedule lighter has given me the opportunity to visit places I never would have otherwise. I’m more spontaneous — and better prepared — on every trip. 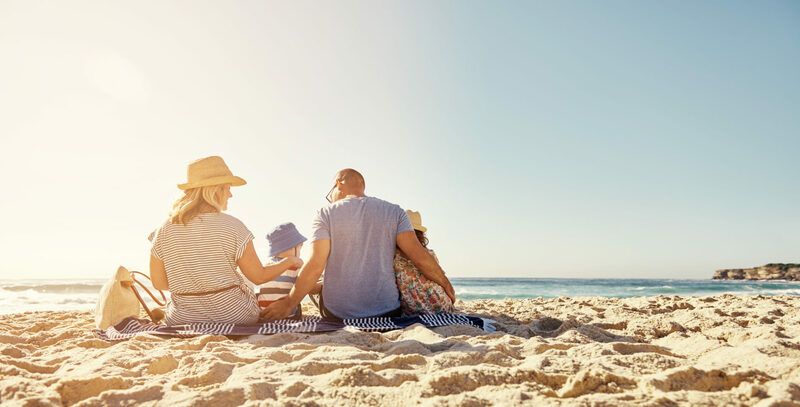 I’ve even been able to travel across the country with my two kids with nothing but a small carry-on, so I could spend less time juggling suitcases and more time holding their hands. It’s human nature to fill a bag to the brim. But limiting yourself to a smaller piece of luggage can keep you from tossing in items you don’t really need. Plus, more economically sized suitcases are lighter and easier to tote around than larger baggage. The same is true for daypacks. When I travel, I bring along a small satchel just big enough to fit my phone, camera, wallet and sunscreen. It holds exactly what I need and nothing more — and my shoulder never aches at the end of a long day. 2. Skip what you can rent, borrow or buy cheaply. This is especially true when traveling with kids. When we fly with our children to visit family in the Midwest, we pack just enough disposable baby supplies (diapers, wipes, milk) to get us to our destination. We never waste valuable luggage space on things we know we can get easily. Once at our destination, we budget time to swing by a store to stock up for the rest of the trip. Research what you’ll be able to get your hands on at your destination. Does the rental car company have car seats available? Do the theme parks have strollers for rent? If the answer is yes, don’t pack the items yourself. 3. Consider what’s probable, not what’s possible. If the weather report forecasts sunny skies for a week, it’s probably O.K. to leave the umbrella at home. The same goes for clothing. I used to pack a little black dress when I traveled just in case an extra-fancy dinner came up — it never did. Now I pack my outfits informed by what I’ll likely do and wear, keeping in mind what I might be able to dress up or down in a pinch. Anything I’d need on a just-in-case basis, I leave in my closet. 4. Pack a color palette, not individual outfits. Back in the day, I would plan a coordinated outfit for each day of my trip. But then I would inevitably spill coffee on my shirt and need to break into part of the next day’s clothing, throwing all my planning out the window. 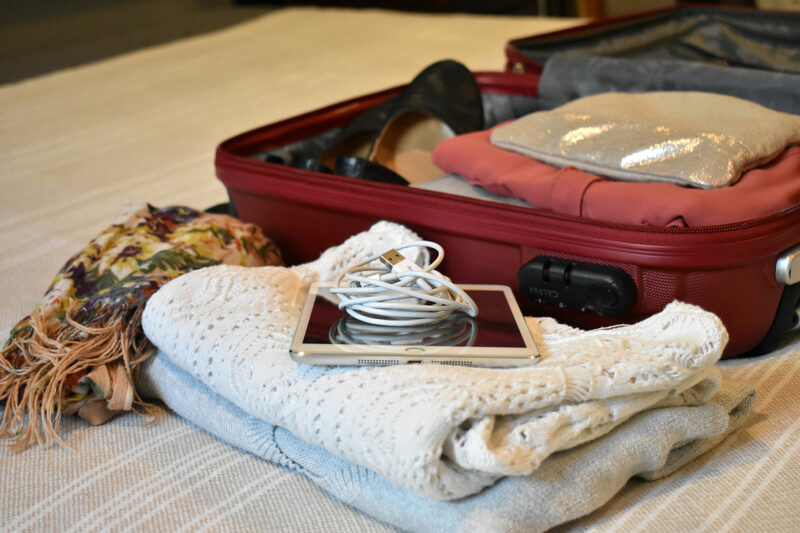 Rather than bringing more than you need to accommodate those little mishaps, pack so that every top in your suitcase pairs well with every bottom. The same can be done with shoes and accessories. My go-to travel shoes are a pair of comfy, black ballet flats that go as well with jeans as they do with a suit. 5. Invest in versatile items. Packing multi-purpose pieces for a trip will save space and sanity. A small tablet holds itineraries and leisure books and can be used as a laptop in a pinch. A fleece hoodie can double as a blanket or a pillow on the plane. Shampoo can be used as shaving cream. (You get the idea.) My favorite multipurpose item? Baby wipes: They have come to my rescue more times than I can count. 6. Make a loose plan. Once you reach your destination, your itinerary needn’t be highly detailed. In fact, it shouldn’t be. Choose one or two things you want to do each day and leave the rest of the time free. 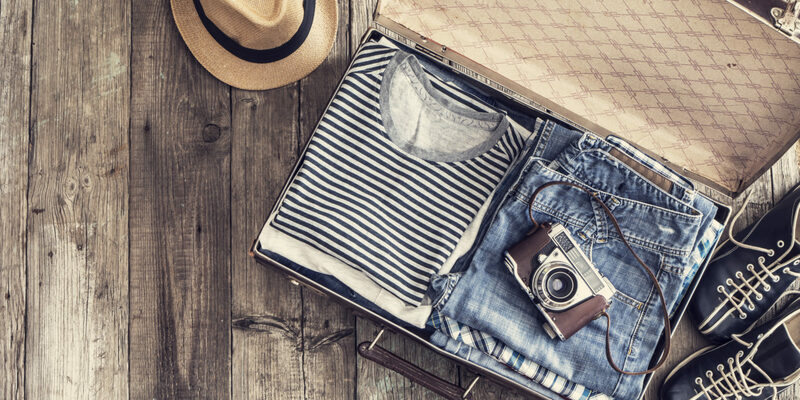 Travelers tend to pack for what they anticipate doing, so an over-crammed schedule can lead to an over-packed suitcase. Scheduling too much also prevents you from taking advantage of new opportunities as they arise — like trying a restaurant recommended by a local on your first day or wandering through small shops in an off-the-beaten-path neighborhood. I love to travel, and some of my happiest times involve exploring new places; however, the bigger the trip, the greater my expectations. If things don’t go how I envision them, disappointment tinges my memories. So I’ve decided to look at things through a new lens — one where the difference between a catastrophe and an adventure was only my state of mind. This simple tweak to my outlook has let me laugh when things go wrong and allowed me to turn mishaps into memories — and that takes up no space in my bookbag. Plan your next vacation with the Marriott Vacation Club Destinations® Exchange Program.